Kickoff: 6:30 p.m. Friday, Oct. 19 at Dave Mattio Field, Spartan Stadium. Where: Joe Orr Road, just west of Ashland Avenue, Chicago Heights. Tickets: $5 Adults; $4 Students; $3 Marian ID; $2 Seniors; $1 Grade School. 2018 records: Nazareth 7-1; Marian Catholic 1-7. ESCC records: Benet 5-1; Marian Catholic 0-6. Streaks: Roadrunners- 1 win; Spartans- 6 losses. Last week: Nazareth 49, Joliet Catholic 20. Last year: Nazareth 48, Marian Catholic 7. Next week: Nazareth in IHSA Playoffs; Marian Catholic season complete. The series: The Roadrunners have captured 10 of 15 meetings, including a current seven-game winning streak. 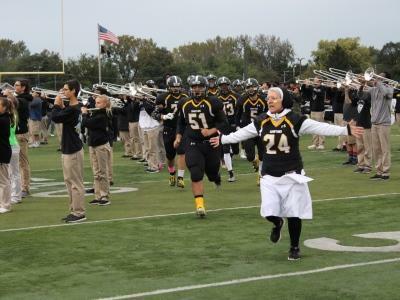 Marian Catholic will honor its senior football players and parents prior to Friday's contest. Despite being blanked in two of the last three contests, Marian is averaging more than 20 points per game. Friday represents the final game for both teams in the current ESCC football format. The Spartans are hoping for their second win in five tries this fall at Spartan Stadium. Marian's last series victory came with a 29-28 decision in 2010 with a touchdown pass in the contest's final seconds. One of the favorites this year, Nazareth has played in IHSA title contests three of the last four years (two championships). 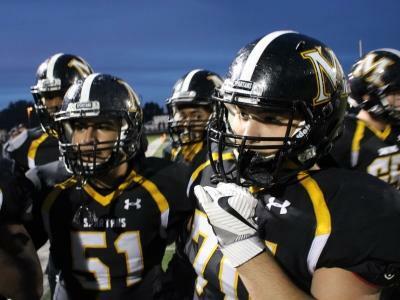 Halloween came early for host Marian Catholic Friday night when the Spartans hosted playoff-bound Nazareth Academy. By the time Marian snapped the ball five times in the opening quarter, the Roadrunners had taken advantage of two turnovers to score three times. The nightmare first-quarter continued, as Nazareth (8-1, 6-1) took a 35-0 command en route to a 42-6 ESCC victory that concluded the Spartan campaign at 1-8 and 0-7. As consolation for a squad that hasn't won an ESCC contest since 2011, Marian won the second half. After an interception halted Marian's first third-quarter drive that netted three first downs, the Spartans' next possession was lightning fast. Carlos Jones pulled in a punt on the run and scampered to the left sideline and an eventual 59-yard touchdown return. When the conversion snap got away, Marian was left with a 42-6 deficit- which is the way matters ended. While Marian did have its visits into Roadrunner territory, five turnovers proved to aid Nazareth in its defensive effort. Two of the Spartans' three interceptions came on snaps from the Roadrunner 30- and 6-yard line. The often potent Marian running game was stifled on Friday, as the Spartans had negative-17 yards on the ground at halftime. Marian finished with just 9 rushing yards on 13 attempts, led by Jones' 33 yards on seven totes. The Spartans virtually abandoned the running game based on futility and the deficit, but the passing game actually brought Marian to life. Senior quarterback Sean Mascolino finished 13 of 28 for 138 yards. Eddie Ell pulled in three targets for 82 yards, Jarrett Benavides had three receptions for 35 yards and Justen Pate pulled in five passes for 31 yards. In addition to the two interceptions well into Roadrunner territory, however, Marian also turned the ball over on downs after a first down at the Nazareth 15-yard line. The Roadrunners appeared well-tuned for the IHSA playoffs on Friday, mixing a potent rushing game (259 yards) with 171 yards via the air. In addition to a fumble recovery in the end zone, Nazareth scored on all of its first-quarter possessions to take the lightning-quick 35-0 bulge. After a sack by Spartan Anjay Rush finally forced a Roadrunner punt, the visitors scored on their next possession of the second period to ensure the second half would be played with a running clock. 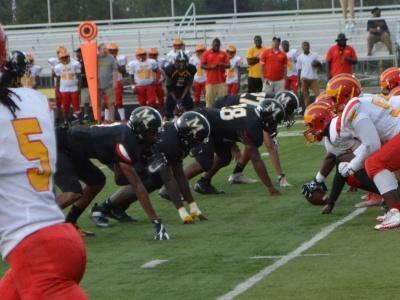 Following a week two victory over North Lawndale, the Spartans finished the campaign with a seven-game losing streak. NZ- Dylan Smith 2-yard run (Andrew Hughes kick), 10:18 first. NZ- Chaddrian West fumble recovery in end zone (Hughes kick), 9:24 first. NZ- Derrick Strongs 5-yard run (Hughes kick), 8:14 first. NZ- Alex Carillo 7-yard run (Hughes kick), 5:31 first. NZ- Diamond Evans 2-yard run (Hughes kick), 1:52 first. NZ- Jailon Welch 5-yard run (Hughes kick), 7:27 second. MC- Carlos Jones 59-yard punt return (run failed), 3:49 third. Rushing: NZ- Alex Carillo 6-93 (TD), Strongs 3-32 (TD), Tyler Morris 2-30, Michael Love 1-20, Jack Gray 5-22, Welch 2-19 (TD), Smith 4-17 (TD), Luke Dolan 3-16, Jackson Lester 1-8, Demetrios Brillakis 3-6, Evans 1-2 (TD), Billy McNamara 1-2, Cole Vercelli 1-1, Teddy Olander 4-(minus 1), J.J. McCarty 1-(minus 12). MC- Jones 7-33, Eddie Ell 3-5, Sean Mascolino 3-(minus 29). Passing: NZ- McCarthy 6 of 9, 171 yards, 0 TD, 0 INT; Brillakis 0 of 4, 0 yards. MC- Mascolino 13 of 28, 138 yards, 0 TD, 3 INT. Receiving: NZ- Love 2-56, Vercelli 1-62, Evans 3-53. MC- Ell 3-82, Jarrett Benavides 3-35, Justen Pate 5-31. Interceptions: Vercelli 2 (Nz), Luke Dolan (Nz). Kickoff: 7 p.m. Friday, Oct. 12 at Dave Mattio Field, Spartan Stadium. 2018 records: Benet 5-2; Marian Catholic 1-6. ESCC records: Benet 3-2; Marian Catholic 0-5. Streaks: Redwings- 2 wins; Spartans- 5 losses. Last week: Benet 42, Saint Viator 14; Joliet Catholic 70, Marian Catholic 28. Last year: Benet 49, Marian Catholic 13. The series: Benet has captured six consecutive contests to narrow the Marian Catholic advantage in the series to 18-11. During the current streak, the Redwings own a 276-54 scoring advantage..
Marian, which plays its final two contests at home, will look to improve on a 1-2 mark at Spartan Stadium. Benet is one of four ESCC teams (Marist, Nazareth, Notre Dame) with at least five wins and likely a secured IHSA playoff berth. The Spartans' last victory in the series came in a 27-7 decision in 2011. A Redwing win would equal the longest winning streak in the series at seven (Marian 1990 to 1996). The Spartans have allowed first-quarter points in six of seven games this season. Marian's last four touchdowns have been the rushing variety. Spartan kicker Ray Cantelo has booted 10 consecutive conversion boots. Despite losing the overall yardage battle, Marian actually owns a better rushing average (5.44 yards per attempt) than opponents (5.16) this year. Stymied... that was exactly what visiting Benet Academy did to Marian Catholic's offense on Friday. The Spartans managed just 59 total yards on a cold night in Chicago Heights, as the Redwings rolled to a 58-0 ESCC victory. Poor offense meant Marian didn't get many chances, as the Spartans ran just 35 total plays, totaling only two first downs. Twelve of the Spartan snaps went for negative yardage, as Marian never threatened to enter the red zone. Benet, meanwhile, methodically rolled to its sixth victory in eight tries, as the Redwings scored on their first four possessions to take a 24-0 command just two minutes into the second quarter. The Benet lead swelled to 38-0 by halftime and the visitors invoked the running clock on their initial possession after intermission. Carlos Jones was the lone offensive threat for Marian (1-7, 0-6), rushing 13 times for 45 yards, and accounting for the lone two first downs for the Spartans. Jones ripped off a 21-yard run on a sweep midway through the second quarter, but Marian was only able to advance to the Redwing 44-yard line before an eventual punt. Jones' second first-down run came with an 11-yard burst, but it represented the next-to-last snap of the contest. The Redwing scores were not cheap, as Benet ran 61 plays- scoring on drives of 65, 63, 59, 39, 69, 58, 61 and 26 yards. Benet also returned a punt 69 yards for a score. Meanwhile, Spartan punter Fred Garcia was one of the busiest Marian players on the field. Marian punted eight times, while another drive was halted by a fumble and the lone turnover of the night. Senior quarterback Sean Mascolino returned from injury, but was just 1-for-6 for 5 yards. For the night, Marian's passing game netted just 1 total yard. Benjamin Jenkins pulled in a pass for 5 yards and the Spartans' only other positive rushers were Tasheem Lawson (nine carries, 13 yards) and Eddie Ell (five carries, 5 yards). 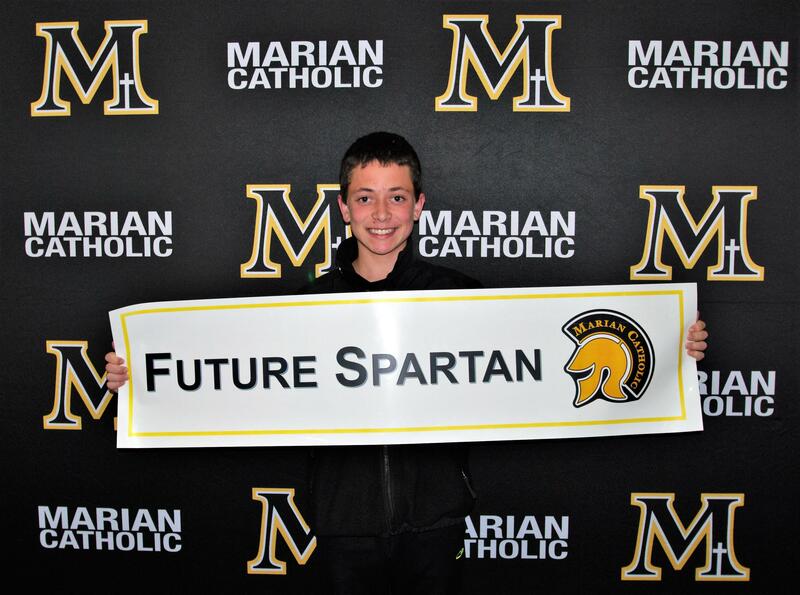 Marian, which has not won an ESCC contest since 2011, will play its final game in the current ESCC format next Friday when the Spartans host Nazareth Academy at 7 p.m.
BA- Luke Flaska 30-yard pass from Colin Gillespie (Tony Benish kick), 10:25 first. ﻿BA- ﻿Michael Wymer 1-yard run (Benish kick), 4:32 first. ﻿BA- ﻿Bennett Hickey 2-yard run (Benish kick), 1:58 first. ﻿BA- ﻿Benish 29-yard field goal, 10:05 second. ﻿BA- ﻿Jack Cooney 69-yard punt return (Benish kick), 5:12 second. ﻿BA- ﻿Hickey 50-yard pass from Gillespie (Benish kick), 1:33 second. BA- Hickey 29-yard run (Benish kick), 7:55 third. BA- Brendan Tarpey 12-yard run (kick failed), 1:00 third. BA- Michael O'Connor 1-yard run (John Dourdourekas kick), 4:00 quarter. Rushing: BA- Wymer 13-129 (TD), Hickey 14-104 (2 TD), Tarpey 9-78 (TD), O'Connor 4-22 (TD), Gillespie 2-13, Nicholas Venecia 4-4. MC- Carlos Jones 13-45, Tasheem Lawson 9-13, Eddie Ell 5-5, Sean Mascolino 1-(minus 5). Passing: BA- Gillespie 7 of 12, 113 yards, 2 TD, 0 INT; O'Connor 1 of 3, 9 yards. MC- Mascolino 1 of 6, 5 yards, 0 TD, 0 INT; Ell 1 of 1, (minus 4 yards). Receiving: BA- Hickey 1-50 (TD), Flaska 2-39 (TD), Luke Sznajder 4-25, Niko Kasprzycki 1-8. MC- Benjamin Jenkins 1-5, Jones 1-(minus 4). Kickoff: 6 p.m. Friday, Oct. 5 at Joliet Memorial Stadium. Where: 3000 W. Jefferson Street, Joliet. Tickets: Available at stadium gates. 2018 records: Marian Catholic 1-5; Joliet Catholic 3-3. ESCC records: Marian Catholic 0-4; Joliet Catholic 2-2. Streaks: Spartans- 4 losses; Hilltoppers- 2 losses. 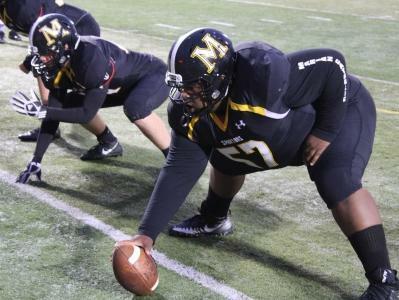 Last week: Marist 42, Marian Catholic 0; Benet 20, Joliet Catholic 13. 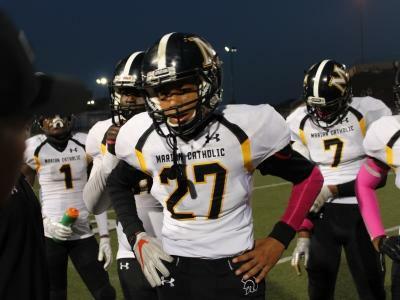 Last year: Joliet Catholic 63, Marian Catholic 20. The series: The Hilltoppers have captured 15 straight decisions and hold an overall series advantage of 32-8-1. In the last five meetings, JCA has owned a 298-56 scoring advantage. Joliet Catholic represents the Spartans' longest rivalry on the schedule, dating back to days when both schools were members of the Illini-8. Last week's shutout snapped a streak of five games in which Marian had scored in double figures. The Spartans' last victory in the series came in a 26-14 decision in 1994. Friday's contest represents the last road venture on the Marian schedule, as the Spartans will close the year with home games vs. Benet and Nazareth. Next year, Marian and JCA will be members of a new combined Chicago Catholic League-ESCC football division. The schools have also been previous members together in the Illini-8 and Chicago Metropolitan Conference. Marian will seek its first road and overall ESCC victory since the 2011 campaign. For the season, the Spartans have averaged 4.57 yards per rushing attempt and 12.7 yards per completion. The current JCA 14-game win streak is the longest in the series, while the top streak for Marian is four wins. 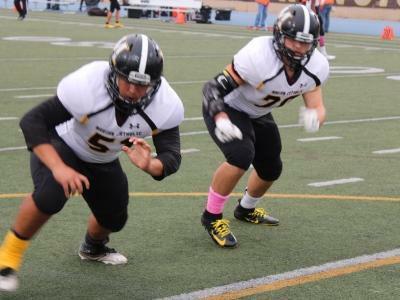 Marian Catholic's Tasheem Lawson and Josh Coates put up some impressive rushing numbers on Friday at Joliet Catholic. Coates busted loose for a 76-yard touchdown run and Lawson scored three times, rushing for 182 yards on just 12 totes. But the Spartans were no match for the Hilltopper rushing game. Joliet Catholic used three 100-yard rushers to churn out 507 yards on the ground, rolling it up to the tune of a 70-28 ESCC demolition of the Spartans. 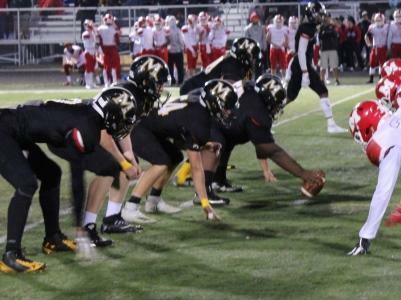 The offense for Marian (1-6, 0-5) was up to the task early, matching both early scores for JCA (4-3, 3-2). After the Hill jumped to a quick 7-0 command, Marian put together four first downs and capped off a 78-yard drive with a 37-yard touchdown run. Ray Cantelo's first of four conversion kicks tied matters at 7-7 just 5:11 into the contest. 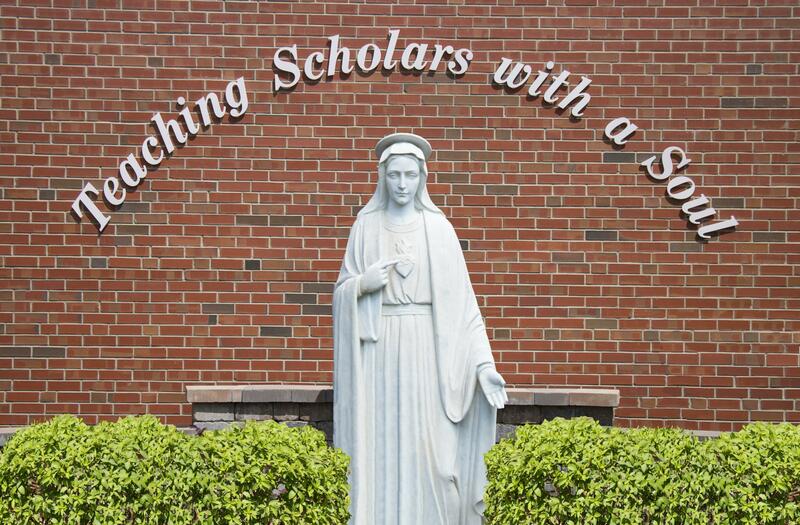 Joliet Catholic scored again, but Marian had another response. This time it took only two plays, as Lawson reversed directions multiple times, literally running more than 100 yards for a 67-yard touchdown burst. However, each of the next three Marian drives stalled and resulted in punts, as the Hillmen scored 28 straight to close out the opening half with a 49-14 cushion. The last two drives were just 21 seconds apart, aided by a Spartan fumble deep in Marian territory. Joliet Catholic scored on 10 of 12 possessions for the night, one drive ending via the first-half clock and the other when the Hilltopper reserves took over on their last possession of the game. Despite the huge halftime disadvantage, Marian displayed life in the second behind an offensive line of Marco Stith, Jose Banuelos, Dylan Williams, Beckett Clasen and Josh Hybert. Just one play after the second-half kickoff, Coates started off tackle and eventually dashed 76 yards for a score. Marian needed just three plays to tally on its next opportunity, as a third-down call saw Lawson burst through the Hillmen for 64 yards and paydirt. However, Joliet Catholic answered each score to maintain a huge bulge. The Spartans were finally put out of their misery when JCA starting tailback Keenan Hailey (242 yards, four touchdowns) scored on the final play of the third quarter to invoke a running clock at a 70-28 count. Marian averaged 7.6 yards per snap on the night, but just couldn't keep pace. 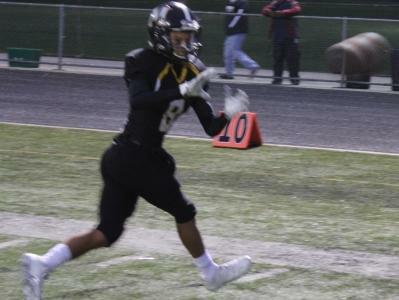 JCA was even efficient in the passing game, completing all three aerial attempts for 108 yards and two touchdowns. Spartan quarterback Eddie Ell finished seven of 10 for 57 yards. JC- Ja'aire Mack 67-yard run (Tony Trabold kick), 9:56 first. ﻿MC- ﻿Tasheem Lawson 37-yard run (Ray Cantelo kick), 6:49 first. ﻿JC- ﻿Izaiah Murphy 51-yard pass from Jordan Alvarez (Trabold kick), 5:15 first. ﻿MC- ﻿Lawson 67-yard run (Cantelo kick), 4:12 first. ﻿JC- ﻿Keenan Hailey 4-yard run (Trabold kick), 2:54 first. ﻿JC- ﻿Nick Iannantone 33-yard run (Trabold kick), 11:31 second. ﻿JC- ﻿Iannantone 3-yard run (Trabold kick), 7:33 second. ﻿JC- ﻿Hailey 36-yard run (Trabold kick), 3:01 second. ﻿JC- ﻿Murphy 27-yard pass from Alvarez (Trabold kick), 2:40 second. MC- Josh Coates 76-yard run (Cantelo kick), 11:43 third. JC- Iannantone 4-yard run (Trabold kick), 9:28 third. MC- Lawson 64-yard run (Cantelo kick), 8:09 third. JC- Hailey 14-yard run (Trabold kick), 4:55 third. JC- Hailey 2-yard run (Trabold kick), 0:05 third. Rushing: MC- Lawson 12-182 (3 TD), Coates 7-98, Jarrett Benavides 3-11, Ernest Tetter 1-(minus 1), Eddie Ell 11-(minus 11). JC- Hailey 24-242 (4 TD), Mack 6-129 (TD), Iannantone 11-119 (3 TD), Julian Perez 4-12, Alvarez 2-7, Ben Stoner 1-1, #18 1-(minus 3). Passing: MC- El 7 of 10, 57 yards, 0 TD, 0 INT. JC- Alvarez 3 of 3, 108 yards, 2 TD, 0 INT. Receiving: MC- Lawson 3-28, Justen Pate 2-17, Coates 1-7, Benavides 1-5. JC- Murphy 2-78 (2 TD), Mack 1-30. Kickoff: 6 p.m. Friday, Sept. 28 at Dave Mattio Field, Spartan Stadium. 2018 records: Marist 4-1; Marian Catholic 1-4. ESCC records: Marist 3-0; Marian Catholic 0-3. Streaks: RedHawks- 4 wins; Spartans- 3 losses. 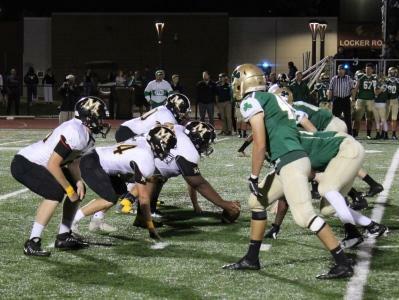 Last week: Marist 42, Joliet Catholic 6; Saint Patrick 35, Marian Catholic 14. Last year: Marist 63, Marian Catholic 6. The series: The Spartans own a 14-11 series advantage, but the RedHawks have narrowed the series margin with seven straight victories. Friday's day at Marian will begin around 6 a.m., as the Spartans are featured on the Chicago ABC-7 Flyover to include aerial shots and interviews. Marian's last victory in the series came with a 31-10 decision in 2007. The RedHawks have compiled their 4-1 mark against four foes that currently have winning records. The Spartans have scored a passing touchdown in each of five contests this season. Marian will try to improve on a 1-1 mark at home this season, and the Spartans also play two of their last three games at Dave Mattio Field. Friday's game features the fifth highest-scoring offense in ESCC for all games in Marian (113 points) and the third highest-scoring offense in Marist (162). The Spartans season leaders include Carlos Jones (393 rushing yards), Sean Mascolino (659 passing yards) and Eddie Ell (319 receiving yards). 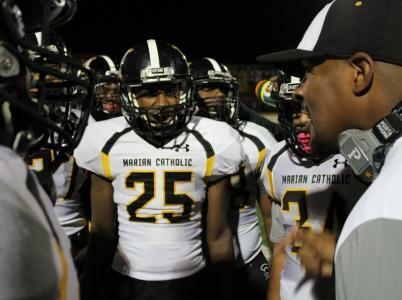 Marian Catholic's gameplan on Friday was to move the chains and keep the ball out the hands of explosive Marist. The host Spartans executed with some success, but the results never paid off with an end zone visit. Despite coming into the contest averaging 23 points per game, Marian was blanked by the Redhawks in a 42-0 ESCC decision. Limiting Marist (5-1, 4-0) to a 28-0 halftime command, the Redhawks took the wind out of the Spartans when A.J. Markett returned the second-half kickoff 99 yards for a score. Meanwhile, the deepest penetration of the night for Marian (1-5, 0-4) came on the final play of the first half when quarterback Eddie Ell scampered 12 yards to the Marist 28-yard line. 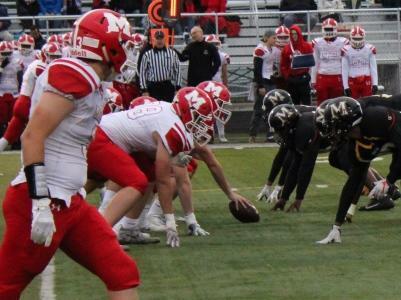 Ell proved to be Marian's biggest threat on Friday. Behind an offensive line of Beckett Clasen, Dylan Williams, Marko Stith, Josh Hybert and Jose Banuelos, Ell ran draws and scampered for 83 yards on 13 carries. Often making something out of nothing, Carlos Jones also rushed 13 times for 45 yards. Marian managed eight first downs (just seven fewer than Marist) to gain some control of the clock. However, the passing game netted only three completions and 11 yards, and 10 of 37 snaps for the night went for negative yardage. Marist methodically built the lead for its fifth straight victory. Redhawk quarterback Hayden Mikesell compiled most of his 201 passing yards early, tossing first-quarter touchdowns of 26 and 49 yards. 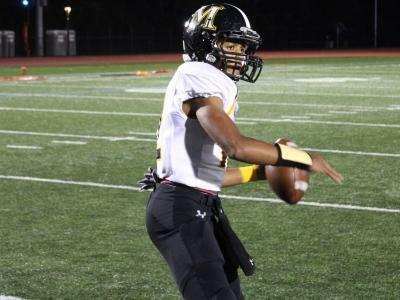 Then Marist showcased its ground game with a pair of touchdowns from Jahlen Williams. Marian escaped a worse fate in the opening half, as Joshua Coates picked off a Marist pass in the end zone. Seeking its first ESCC victory since 2011, the Spartans will visit Joliet Catholic next Friday for a 7 p.m. kickoff. Mst- Billy Slalitzky 26-yard pass from Hayden Mikesell (Ayden Domico kick), 8:57 first. ﻿Mst- ﻿Declan Ryan 49-yard pass from Mikesell (Domico kick), 6:55 first. ﻿Mst- ﻿Jahlen Williams 1-yard run (Domico kick), 3:13 first. ﻿Mst- ﻿Williams 4-yard run (Domico kick), 1:44 second. Mst- A.J. Markett 99-yard kickoff return (Domico kick), 11:41 third. Mst- Amari Watkins 20-yard run (Domico kick), 6:27 third. Rushing: Mst- Williams 11-60 (2 TD), Watkins 11-59 (TD), Mikesell 3-26, Sean Pappas 4-3. MC- Eddie Ell 13-83, Carlos Jones 13-45, Joshua Coates 2-5, Tasheem Lawson 2-(minus 4). Passing: Mst- Mikesell 13 of 18, 201 yards, 2 TD, 1 INT. MC- Ell 3 of 7, 11 yards, 0 TD, 1 INT. Receiving: Mst- Ryan 6-128 (TD), Skalitzky 4-5 (TD), Jadon Thompson 2-23, Brendan Barry 1-5. MC- Jarrett Benavides 1-9, Benjamin Jenkins 1-4, Lawson 1-(minus 2). 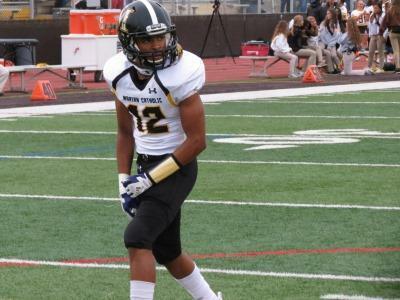 Interceptions: Nile Hill, Kivonte Houston (Marist); Joshua Coates (MC). Kickoff: 7:30 p.m. Friday, Sept. 21 at Triton College. Where: 2000 5th Avenue, River Grove. Tickets: $5 Adults; $3 Students available at the gate. 2018 records: Marian Catholic 1-3; Saint Patrick 2-2. ESCC records: Marian Catholic 0-2; Saint Patrick 0-2. Streaks: Spartans- 2 losses; Shamrocks- 2 losses. Last week: Marian Central 32, Marian Catholic 20; Nazareth 47, Saint Patrick 23. Last year: Saint Patrick 31, Marian Catholic 14. The series: Saint Patrick has captured four straight in the series, but Marian Catholic owns an overall series edge of 12-11. Through four weeks of action, the Spartans own the fifth highest-scoring offense among ESCC teams, while the Shamrocks rank eighth. Saint Patrick is the last team Marian Catholic defeated in ESCC competition, a 42-35 decision midway through the 2011 campaign. 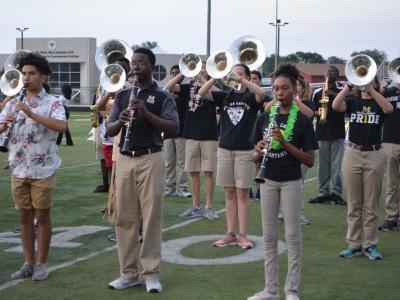 Friday represents the first of two games (Joliet Catholic at Memorial Stadium on Oct. 5) that Marian Catholic will play in an off-campus facility. The winner in this matchup has scored at least 31 points in the last six meetings. During the current four-game winning streak, the Shamrocks own a point differential of 155-49. Marian has scored a rushing and passing touchdown in all four contests this season. The Shamrocks represent the third straight team Marian will play coming off a loss. None of the last seven meetings have been decided by fewer than seven points. 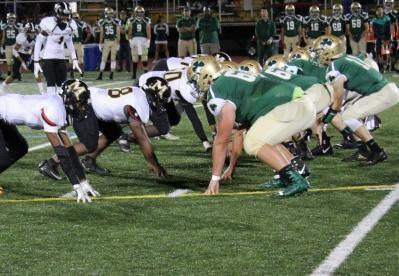 If Marian Catholic's defense had a "bend, but don't break" philosophy Friday at Triton College vs. Saint Patrick, the Spartans played the script well into the second half of the contest. 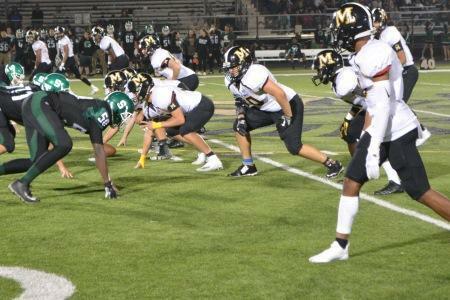 Putting forth a stubborn effort and putting points on the board itself, the defense had Marian in a 14-14 stalemate midway through the third quarter. However, the host Shamrocks scored 14 points in 12 seconds courtesy of a turnover, eventually pulling away for a 35-14 ESCC victory over the Spartans. The setback dropped Marian to 1-4 and 0-3, also keeping the Spartans winless in ESCC play dating back to a victory over the Shamrocks in 2011. The streak was in doubt for a while Friday, as Marian answered a St. Patrick score with an 80-yard scoring march in the first half and used a defensive score to pull within 14-14 early in the third period. On Saint Patrick's first snap of the second half, Spartan Justin Stallworh scooped up a fumble and raced 31 yards for a score. When Ray Cantelo booted his second conversion, Marian had hopes of spoiling Homecoming for the Shamrocks with a 14-14 score. Marian's defense stayed up to the task, as Tasheem Lawson picked off a pass to halt the next Saint Patrick possession. The Shamrocks finally took the go-ahead score with 5:01 remaining in the third quarter, then disaster struck for Marian. 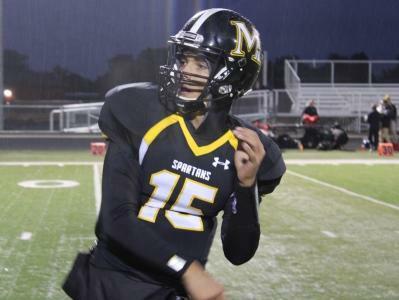 Starting from the Marian 22-yard line, a snap sailed past Spartan quarterback Eddie Ell. The Shamrocks won the race to the ball, eventually scoring on a 2-yard fumble return that saw the home team lead swell to 28-14. While a linebacking corps of Maison Ndonde, Lawson and Jaylen Dellahousaye frustrated the Shamrock offense much of the night, the Spartan defenders eventually wore down. Using an effective ball-control rushing offense, Saint Patrick controlled possession and added an insurance score midway through the fourth quarter. In all, Saint Patrick ran 65 offensive plays to the Spartans' 40. The Shamrocks churned out 21 first downs to Marian's seven. The 80-yard Marian scoring drive in the second quarter was a masterpiece. However, it wasn't the trend for the night as the Spartans amassed only 125 total yards. After Saint Patrick had taken a 7-0 command, Marian responded immediately on its next possession. Ell hit Justen Pate (three catches, 38 yards) for an initial chain-mover, then Ell, Lawson and Carlos Jones rushed for first downs to put Marian in striking distance. On a third-and-long call, Ell hit Pate flying down the right sideline for a 25-yard scoring strike. Saint Patrick managed a touchdown in the final minute of the half to take a 14-7 edge into the intermission. In a limited debut starting for injured quarterback Sean Mascolino, Ell was effective to the tune of four-for-eight for 67 yards. However, a Marian rushing attack that had produced scores in all of the first four games was limited to 58 yards on 32 totes. Jones topped the ground attack with 38 yards on 14 carries. 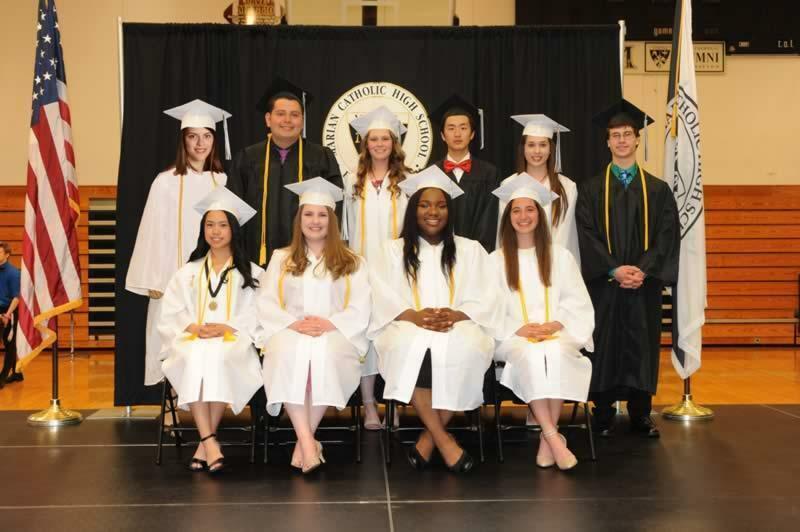 Next week's 6 p.m. visit from Marist will cap off an interesting day at Marian Catholic. Chicago's ABC-7 will highlight the Spartans on their Friday Flyover with an early-morning visit. Junior Varsity: The young Spartans fell to Saint Patrick, 30-20. SP- Erik Wozny 5-yard run (John Saner kick), 1:19 first. ﻿MC- ﻿Justen Pate 25-yard pass from Eddie Ell (Ray Cantelo kick), 7:25 second. ﻿SP- ﻿Xavier Saldana 18-yard pass from Jack O'Rourke (Saner kick), 0:37 second. ﻿MC- ﻿Justin Stallworth 31-yard fumble return (Cantelo kick), 11:41 third. ﻿SP- ﻿Wozny 26-yard run (Saner kick), 5:01 third. ﻿SP- ﻿Carl Reina 2-yard fumble return (Saner kick), 4:49 third. ﻿SP- ﻿George Ohanessian 2-yard run (Saner kick), 7:11 fourth. Rushing: MC- Carlos Jones 14-38, Tasheem Lawson 9-26, Eddie Ell 8-(minus 3), Jarrett Benavides 1-(minus 3). SP- Wozny 19-150 (2 TD), Ohanessian 22-79 (TD), O'Rourke 7-67, Nicholas Woodville 1-1, Giovanni Capifali 1-0, Aidan Larson 1-(minus 1), Saldana 1-(minus 6). Passing: MC- Ell 4 of 8, 67 yards, 1 TD, 0 INT. SP- O'Rourke 6 of 13, 65 yards, 1 TD, 1 INT. Receiving: MC- Pate 3-38 (TD), Benjamin Jenkins 1-29. SP- Saldana 3-24 (TD), Capifali 1-19, Michael Crawford 1-14, Anthony Fitzpatrick 1-8. Kickoff: 7 p.m. Friday, Sept. 14 at Dave Mattio Field, Spartan Stadium. 2018 records: Marian Central 2-1; Marian Catholic 1-2. ESCC records: Marian Central 0-1; Marian Catholic 0-1. Streaks: Hurricanes- 1 loss; Spartans- 1 loss. Last week: Nazareth 42, Marian Central 7; Carmel Catholic 48, Marian Catholic 26. Last meeting: Marian Central 56, Marian Catholic 16 (2015). The series: Marian Central has won both ESCC meetings, the Hurricanes also claiming a 42-0 decision in 2014. The Spartans won the only other contest with a 27-13 decision in 1982. The Spartans will seek a second straight home victory, which would be the first 2-0 home start since 2013. 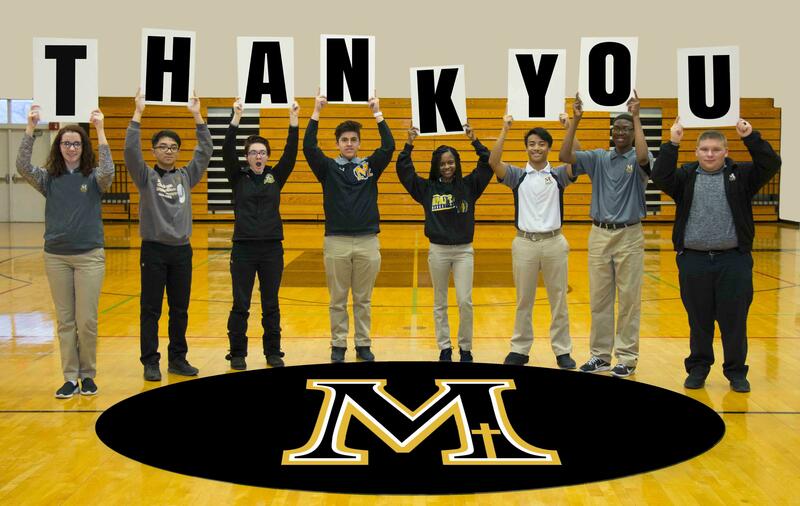 With this contest near the anniversary, Marian Catholic honors the memory of Patrick Murphy '81, a victim of the events of Sept. 11, 2001 at the Pentagon. The two Junior Varsity squads will play a 10 a.m. contest Saturday at Marian Central. 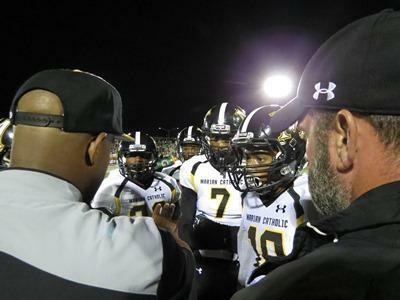 Marian Catholic is seeking its first ESCC victory since Week five of the 2011 season. In each of three contests, the Spartans have scored both a rushing and passing touchdown. 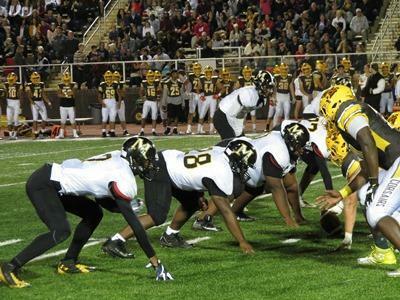 Marian Catholic has scored in nine of 12 quarters played this year. Despite just a 6-8 record in the ESCC the last two years, Marian Central qualified for the IHSA playoffs in both seasons. The last Spartan Homecoming victory came with a 38-0 decision over Champaign Central in 2012. 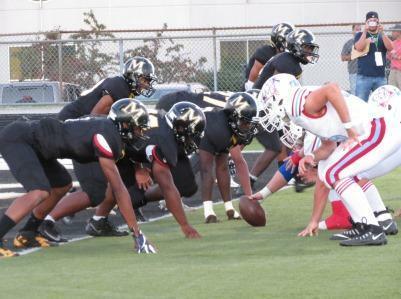 There was plenty of energy on Friday at Marian Catholic. An enthusiastic Homecoming crowd. The return of injured Kameron Floyd to Spartan Stadium. The energy carried over to the field for much of the contest. Seeking its first ESCC win since 2011, Marian was tied at halftime and scored early in the fourth quarter to pull within three points. However, Marian Central Catholic got four of the five second-half scores to escape Dave Mattio Field with a 32-20 ESCC victory. After MCC edged to a 23-13 command after three quarters, Marian was ignited by a 49-yard kickoff return from Carlos Jones to set up the home team at the Hurricane 30-yard line. Playing without starting quarterback Sean Mascolino (potential concussion), the Spartans (1-3, 0-2) needed just three plays to narrow the margin. Tasheem Lawson reversed field to dash 27 yards to the 9-yard line. Two plays later, Eddie Ell swept around the right side for 7 yards and a score. When Ray Cantelo booted the conversion, Marian was within 23-20 with 11:54 to play in the final quarter. 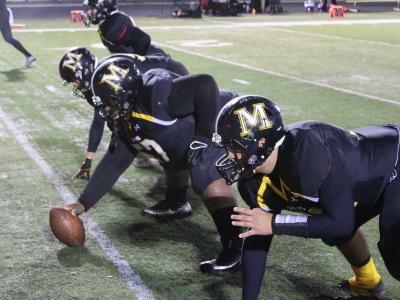 Sparked by a defensive line of Rhashid Wilson, Justin Stallworth, Kendall Thomas and Anjay Rush, Marian forced a punt on the next MCC possession. But seeking a tying or lead score, the Spartans were stung by their bugaboo on Friday. Marian fumbled four times on Friday, losing three- including a critical one midway through the fourth period. 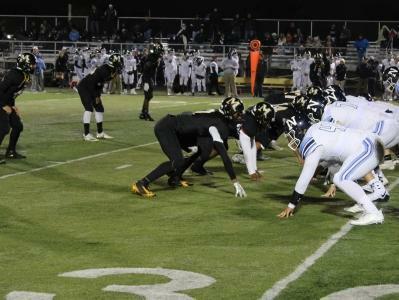 The Hurricanes made Marian pay quickly, as a one-play drive provided a 30-20 margin for the visitors. The Spartans had three more possessions, but they resulted in a punt, fumbled punt snap for a safety and an interception in the red zone. Statistically, the Spartans proved a good match for the Hurricanes (3-1, 1-1). Carlos Jones, who scored on a 54-yard rush, carried 19 times for 140 yards. Lawson had 90 yards rushing on 12 totes. Meanwhile, before getting knocked out of the contest, Mascolino tossed for 98 yards. Favorite target Eddie Ell pulled in five catches for 49 yards, including a 12-yard touchdown reception. Facing a 13-0 deficit in the early going, Marian rallied behind an offensive line of Marco Stith, Jose Banuelos, Nathan Williams, Beckett Clasen and Josh Hybert. Mascolino completed a 70-yard drive with the 12-yard pass to Ell to make it 13-6. Midway through the second quarter, Spartan Maison Ndonde picked off a pass to set up Marian Catholic again. The Spartans marched 70 yards again, as Jones took a handoff on the right side and dashed around several defenders, eventually scampering to the left side for the 54-yard score. The 13-13 halftime stalemate proved to be the closest the Spartans got to the lead all night. 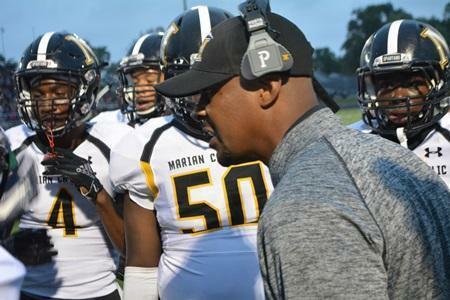 Marian Catholic will try to halt its long ESCC losing streak when it takes on the last conference foe it defeated in a 7 p.m. kickoff Friday against Saint Patrick at Triton College. MCC- ﻿﻿Luke Rogers 1-yard run (Andrew Menner kick), 9:04 first. ﻿MCC- ﻿Pasquale Ricciardi 1-yard run (pass failed), 6:18 first. ﻿MC- ﻿Eddie Ell 12-yard pass from Sean Mascolino (run failed), 2:04 first. ﻿MC- ﻿Carlos Jones 54-yard run (Ray Cantelo kick), 6:57 second. ﻿MCC- ﻿Menner 43-yard field goal, 4:07 third. ﻿MCC- ﻿Bryce Radcliffe 32-yard pass from Ricciardi (Menner kick), 0:42 third. ﻿MC- ﻿Ell 7-yard run (Ray Cantelo kick), 11:54 fourth. ﻿MCC- ﻿Radcliffe 30-yard pass from Ricciardi (Menner kick), 7:44 fourth. ﻿MCC- ﻿Safety, punter tackled in end zone, 2:11 fourth. 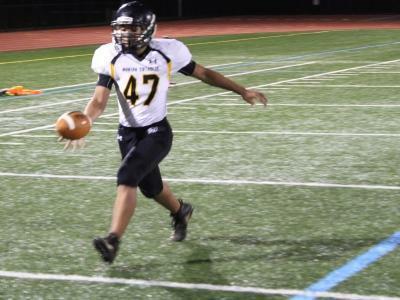 Rushing: MCC- Rogers 25-92 (TD), Dante Ricciardi 5-66, Bryce Shelton 6-41, P. Ricciardi 13-29 (TD), Brendan Hernon 1-7. MC- Jones 19-140 (TD), Lawson 12-90, Ell 1-7 (TD), Justin Stallworth 1-(minus 1), Ray Cantelo 1-(minus 10), Mascolino 4-(minus 15). Passing: MCC- P. Ricciardi 14 of 18, 170 yards, 2 TD, 1 INT. MC- Mascolino 8 of 17, 98 yards, 1 TD, 1 INT; Brandon Kelly 0 of 1, 0 yards; Lawson 0 of 2, 0 yards, 1 INT. Receiving: MCC- Radcliffe 4-77 (2 TD), Charlie Kramer 6-50, Rogers 4-43. MC- Ell 5-49 (TD), Lawson 2-44, Justen Pate 1-5. Interceptions: Tom Novakoski, B. Radcliffe (MCC); Maison Ndonde (MC). Kickoff: 7 p.m. Friday, Sept. 7 at Carmel Catholic High School. Where: One Carmel Parkway, Mundelein. Tickets: Available at Stadium gate. 2018 records: Marian Catholic 1-1; Carmel Catholic 0-2. Streaks: Spartans- 1 win; Corsairs- 3 losses. 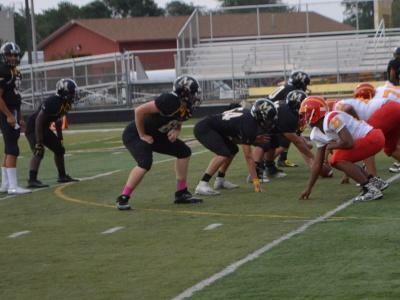 Last week: Marian Catholic 51, North Lawndale 0; St. Charles East 38, Carmel 7. Last meeting: Carmel Catholic 38, Marian Catholic 7 (2015). The series: The Corsairs have won six consecutive games to take a 17-10 overall command in the series. Marian's last triumph in the series came with a 20-17 overtime decision in 2009. 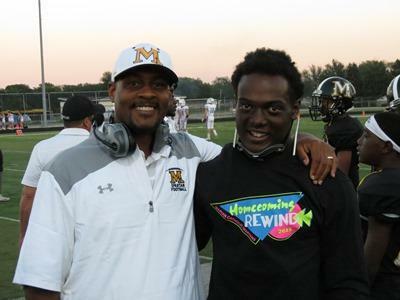 Friday's matchup features a pair of first-year coaches in Marian's Erick Middleton and Carmel's Blake Annen. Last week's Spartan victory snapped an 18-game losing streak, but was Marian's sixth straight win vs. Chicago Public League foes. The teams played one of the IHSA's highest scoring games in history with a 73-55 Carmel victory in 2006. Last week's 51 points represented the most for a Spartan team since a 53-16 victory over Urban Prep to open the 2016 season. Marian is hoping for its first ESCC victory since the 2011 campaign. The ESCC opened the year with an impressive 13-7 record in nonconference play, including five 2-0 teams. Tasheem Lawson has four touchdowns in the first two games- one rushing, one receiving and a punt return for TD in both games. Marian Catholic may have gotten the first laugh and the last laugh Friday in an ESCC visit to Carmel Catholic. The Spartans clicked early for two scores and scored two more times in the final five minutes of the contest. In between, however, the Corsairs made sure it was no laughing matter, scoring 34 consecutive points en route to a 48-26 decision to open the conference ledger for both teams. The setback spoiled a fine effort by Marian tailback Carlos Jones, who rushed for 171 yards and a pair of touchdowns behind an offensive line of Marco Stith, Aidan Vanderwall, Nathan Williams, Jose Banuelos and Josh Hybert. Spartan quarterback Sean Mascolino also had a productive night, tossing for 166 yards and a score while rushing for another score. 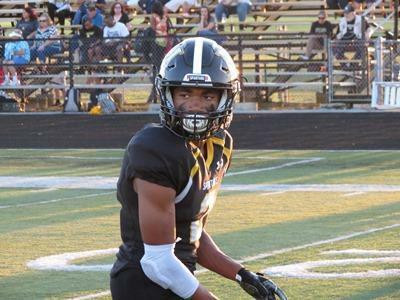 The senior signal caller got the visitors going early, finding a connection with Eddie Ell. After the duo hooked up on aerials of 33 and 37 yards, Ell pulled in a 4-yard touchdown reception that gave Marian an early 6-0 command. Carmel (1-2, 1-0) answered with a score of its own for a 7-6 edge, but the Marian defense then rallied to end Corsair possessions with a missed field goal and punt. Given another opportunity late in the opening period, Jones made sure it wasn't wasted. The junior appeared to be bottled up on a rush near the line of scrimmage, then retreated and got loose down the left sideline for an 83-yard score. Ray Cantelo's conversion gave the Spartans (1-2, 0-1) a 13-7 advantage with 32 seconds to play in the first quarter. Marian wouldn't score again until 4:57 remained in the contest. At that point, it was consolation scores as Carmel had used the 34-point blitz to build a 41-13 lead. 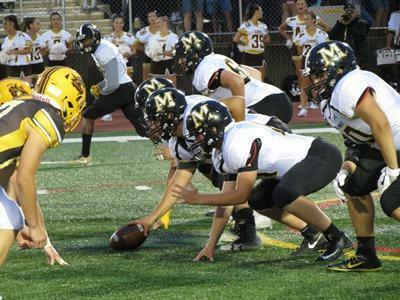 While Marian's offense posted solid numbers, the Corsairs racked up more than 400 yards of offense. Meanwhile, the Spartans were 0-for-13 on third-down conversions for the night. The deficit was manageable at 20-13 to end the first half, but Carmel scored all of the third-quarter's 21 points. Marian got its offensive magic back in the final two Spartan drives of the game, initially marching 80 yards in 10 plays for a score. Mascolino moved the chains twice with tosses to Justen Pate, then Jones polished off the drive with rushing bursts of 15 yards and 20 yards for the score. Marian's final scoring march came in the two-minute drill, as Mascolino capped a 70-yard march with a 10-yard touchdown scramble on the final offensive snap of the night. Ell proved to be the favorite target on the night with eight catches for 98 yards, while Pate finished with 49 yards on six receptions. The setback prevented Marian from putting together back-to-back victories and kept the Spartans winless in ESCC play since 2011. Marian will try to get things turned around when it hosts Marian Central Catholic for Homecoming next Friday at 7 p.m.
MC- Eddie Ell 4-yard pass from Sean Mascolino (kick failed), 8:22 first. CC- ﻿Sean Lynch 18-yard run (Ben Packer kick), 4:55 first. ﻿MC- ﻿Carlos Jones 83-yard run (Ray Cantelo kick), 0:32 first. ﻿CC- ﻿Packer 29-yard field goal, 10:06 second. ﻿CC- ﻿Syone Usma-Harper 15-yard run (Packer kick), 2:14 second. ﻿CC- ﻿Packer 35-yard field goal, 0:12 second. CC- Lynch 44-yard run (Packer kick), 6:03 third. CC- Usma-Harper 47-yard run (Packer kick), 2:52 third. CC- Mitchell Geier 22-yard pass from Avery Bugaj (PaMascker kick), 0:01 third. MC- Jones 20-yard run (Cantelo kick), 4:57 fourth. CC- Usma-Harper 8-yard run (Packer kick), 2:11 fourth. MC- Mascolino 10-yard run (pass failed), 0:02 fourth. Rushing: MC- Jones 17-171 (2 TD); Jarrett Benavides 1-27, Tasheem Lawson 4-17, Ernest Tetter 1-1, Mascolino 6-(minus 20), Ray Cantelo 2-(minus 29). CC- Lynch 27-175 (TD), Usma-Harper 12-135 (3 TD), Bugaj 7-17, Kendall Green 2-(minus 5). 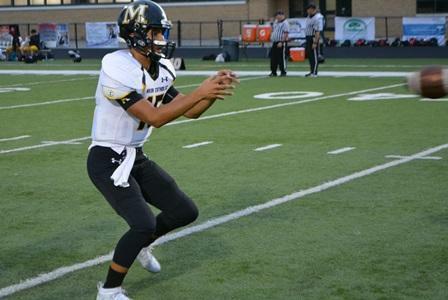 Passing: MC- Mascolino 18 of 35, 166 yards, 1 TD, 1 INT. CC- Bugaj 5 of 20, 82 yards, 1 TD, 0 INT; Stephen Gracia 1 of 3, minus-1 yards. Receiving: MC- Ell 8-98 (TD), Justen Pate 6-49, Jones 3-11, Lawson 1-8. CC- Lynch 1-49, Geier 3-20 (TD), Ryan Graunke 2-12. Kickoff: 6 p.m. Friday, Aug. 31 at Dave Mattio Field, Spartan Stadium. 2018 records: North Lawndale 0-1; Marian Catholic 0-1. Streaks: Phoenix- 1 loss; Spartans- 18 losses. 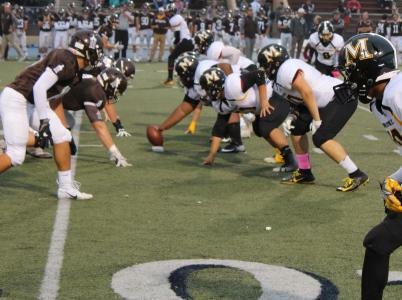 Last week: Quincy 58, North Lawndale 0; Oak Lawn 28, Marian Catholic 22. Last year: Teams did not meet. 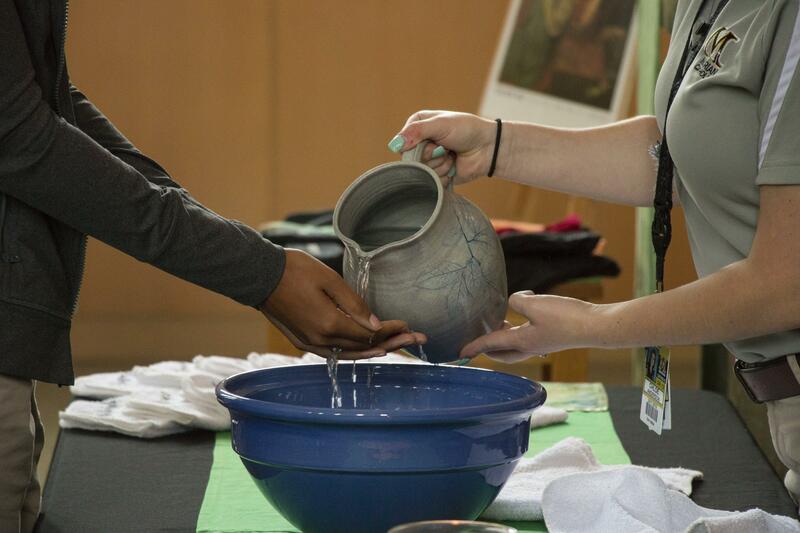 The series: This represents the first meeting between the schools. The Spartans will hope to start their season with a 1-1 mark for the fourth time in five years. 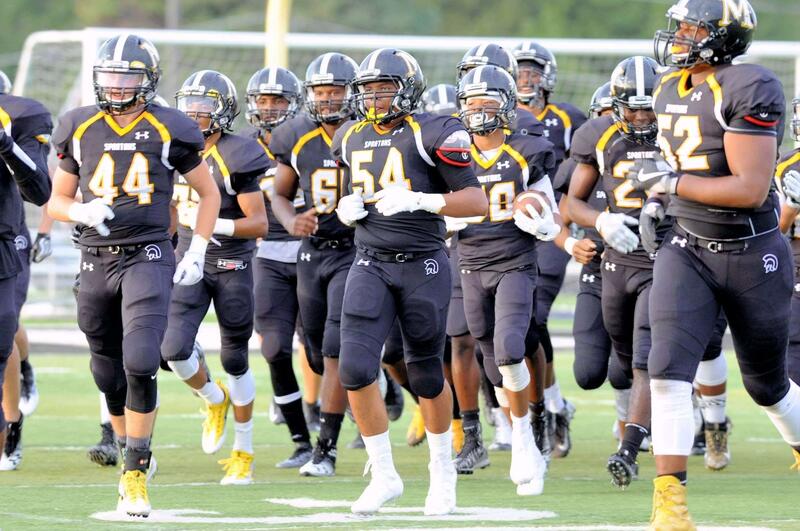 Friday's contest will be the first of five home contests for Marian Catholic. The Spartan JV squad will play a 12 p.m. Saturday contest at Saint Viator. Marian's last tilt against a Chicago Public League foe resulted in a 53-16 Spartan victory to open the 2016 campaign. Erick Middleton is the Spartans' ninth football head coach in school history, but only the third since 1975. Last week's 172 passing yards would have represented the third-highest total for the 2017 season. Marian has won four of its last five home openers. 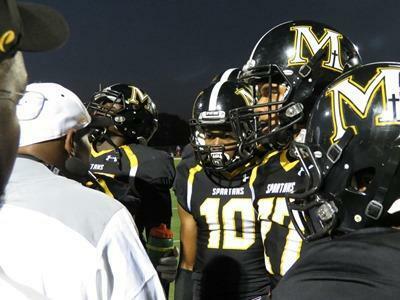 The Spartans own a five-game winning streak against Chicago Public League competition. 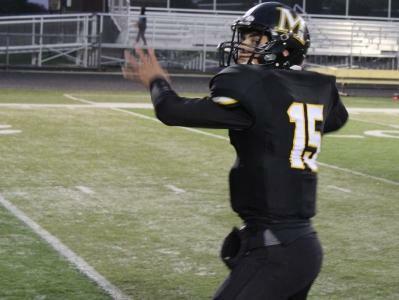 It was easy to excuse the Marian defense for allowing 137 yards passing against nonconference foe North Lawndale. Courtesy of six sacks and constant pressure on the quarterback, the Marian defense limited the Phoenix to minus-85 yards rushing to produce the Spartans' first shutout since 2012. The offense and special teams got into the act as well, with the Spartans clicking on all cylinders for a 51-0 victory. Senior quarterback Sean Mascolino tossed for 223 yards and three touchdowns, connecting on scoring strikes to Eddie Ell, Tasheem Lawson and Justen Pate. It took a long time- and then some- for Marian to snap its 18-game losing streak. The Spartans had not won since week one of the 2016 season, and then had to wait overnight when lightning suspended a 28-0 Marian second-quarter lead from Friday to Saturday. The Spartans' six sacks accounted for 48 yards in losses for North Lawndale, as Rhashid Wilson, Anjay Rush, Kendall Thomas, Lawson, Nathan Williams and Justin Stallworth all had a hand in the sack attack. Pressured constantly by the defensive line, Phoenix quarterback Marquise Earskines finished with minus-99 yards rushing on 16 attempts. With a defensive backfield of Elijah Barnes, Kameron Floyd, Ell and Jones holding its own as well, Marian forced North Lawndale to negative yardage on 19 snaps. The Spartan offense left little doubt, scoring on three of its first four possessions on the Friday night portion of the victory. Freshman Ernest Tetter got the party started, capping a 51-yard drive with a 1-yard scoring burst. The first of four Ray Cantelo conversion kicks had Marian ahead for good with 3:31 remaining in the opening quarter. Marian had no problem dialing up long distance on Friday-Saturday, as all seven touchdown drives (or returns) covered 50 yards or more. 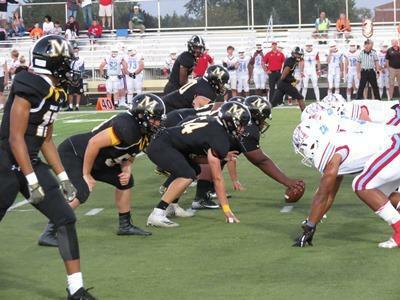 A 74-yard drive was polished off when Mascolino hit Ell with a short pass, the senior breaking multiple tackles and eventually dashing for a 68-yard score that gave the host team a 14-0 command. One possession later, the Spartans marched 78 yards with Mascolino hitting Lawson from 5-yards out, and Marian was off and running with a 21-0 bulge. Just before lightning halted the affair on Friday, Marian provided the home crowd with one more bolt. After the defense forced a fumble, Lawson scooped up the ball for a short return, then his fumble was picked up by Stallworth for a 50-yard fumble return and 28-0 Marian lead just before lightning struck. 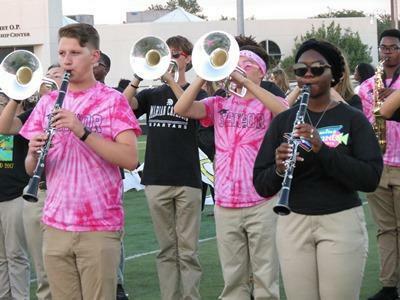 Better weather conditions prevailed Saturday, but Marian kept its own lightning going. Marian couldn't take advantage of a short field on its first second-half opportunity, but still cashed in with a 25-yard field goal from Cantelo. The Marian lead swelled to 37-0 when Pate reeled in a 43-yard bomb toward the end of the third period. The Spartans weren't done for the quarter, however, as Lawson picked off a pass as the period expired and dashed 57 yards for the score that gave Marian a 43-0 advantage. Defense capped off the scoring and long-awaited victory for Marian, as Josh Coates picked off a fourth-quarter pass and returned it 50 yards for a score. Mascolino connected with Stallworth on the conversion to account for the final tally. The Spartans displayed excellent balance on offense. While Floyd was the leading rusher with 57 yards on three carries, seven different ballcarriers accounted for a 149-yard infantry attack on an efficient 22 attempts. Pate led the receiving corps with 89 yards on just two catches, while Ell had a pair or receptions for 83 yards. Marian will open the ESCC portion of its schedule next Friday when the Spartans visit Carmel Catholic for a 7 p.m. kickoff. Junior Varsity: the young Spartans fell to 1-1 with a 33-0 setback at Saint Viator. MC- Ernest Tetter 1-yard run (Ray Cantelo kick), 3:31 first. MC- Eddie Ell 68-yard pass from Sean Mascolino (Cantelo kick), 0:21 first. MC- Tasheem Lawson 5-yard pass from Mascolino (Cantelo kick), 6:24 second. MC- Justin Stallworth 50-yard fumble return (Cantelo kick), 1:22 second. MC- Cantelo 25-yard field goal, 7:21 third. MC- Justen Pate 43-yard pass from Mascolino (kick failed), 1:42 third. MC- Lawson 57-yard punt return (kick failed), 0:00 third. MC- Josh Coates 50-yard interception return (Mascolino pass to Stallworth), 8:45 fourth. Rushing: NL- Rajuan Jones 6-23, Dujan Barnes 7-(minus 1), Kennarus Wilburn 1-(minus 8), Marquise Earskines 16-(minus 99). MC- Kameron Floyd 3-57, Lawson 3-49, Tetter 6-24 (TD), Jarrett Benavides 1-20, Carlos Jones 3-18, Anjay Rush 1-0, Mascolino 5-(minus 19). Passing: NL- Earskines 9 of 19, 137 yards, 0 TD, 0 INT; Wynton Alexander 0 of 1, 0 yards, 0 TD, 1 INT. MC- Mascolino 8 of 14, 223 yards, 3 TD, 1 INT. Receiving: NL- Calvin Ingram 5-99, LaDarius Toliver 2-31, Jones 1-5, Lovell Miller 1-2. MC- Pate 2-89 (TD), Ell 2-83 (TD), Lawson 2-31 (TD), Benjamin Jenkins 1-14, Jones 1-6. Interceptions: Toliver (NL); Coates (MC). Kickoff: 7:30 p.m. Friday, Aug. 24 at Oak Lawn High School. Where: 9400 Southwest Highway, Oak Lawn. Tickets: On sale at gate on Friday. 2017 records: Oak Lawn 4-5; Marian Catholic 0-9. Streaks: OL Spartans- 2 losses; MC Spartans- 17 losses. Last year: Oak Lawn 40, Marian Catholic 33. The series: Last year's meeting was the first between the two Spartan squads. Marian's 33 points last year against Oak Lawn represented a season high. Oak Lawn is coached by former Marian Catholic assistant Nick Novak, who employs his father Bob (a current Marian basketball coach) on his staff. Marian opens the campaign on the road for the first time in eight seasons. Last year snapped a four-game winning streak for Marian on opening night. Friday's tilt will be preceded by a 4:30 p.m. Junior Varsity contest at Oak Lawn. 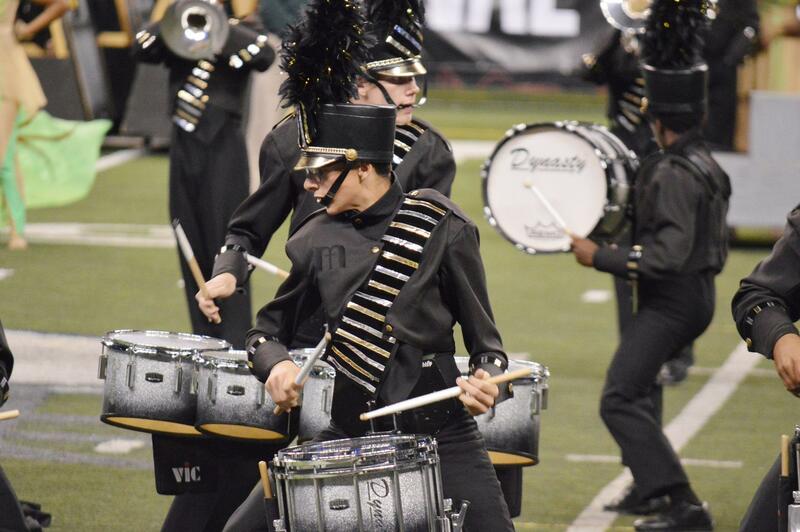 Last year, Oak Lawn rebounded from a 33-20 halftime deficit to earn the victory. Marian will seek its first playoff appearance since the 2010 campaign this season. 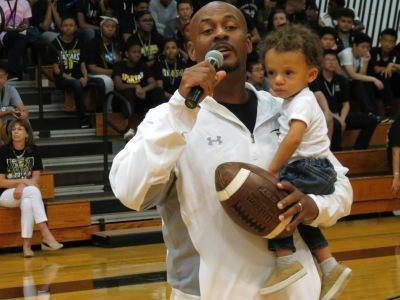 Head Coach Erick Middleton makes his debut as Marian's ninth overall head coach. Coach Middleton's staff features five other alums on staff, including Andy Delaurentis, Mac Stevenson, Nick Lopez, Matt Dee and Troy Nutall. Opening-game high school contests are characterized by mistakes and miscues. 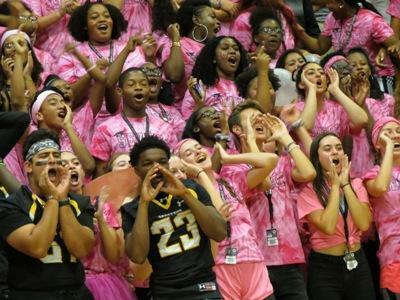 Host Oak Lawn had its share of first-game flaws on Friday, but many of Marian Catholic's mishaps appeared at the worst times. 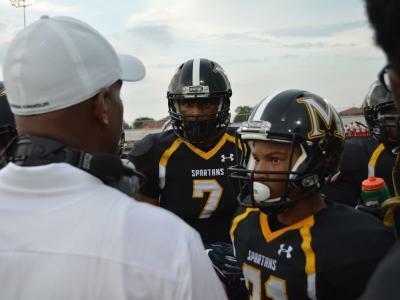 The visiting Spartans committed 13 penalties and had three turnovers in a 28-22 nonconference season-opening setback to Oak Lawn. In a game that saw the squads trade scores with Marian taking four different leads, Oak Lawn was the Spartan squad that got the last swap. 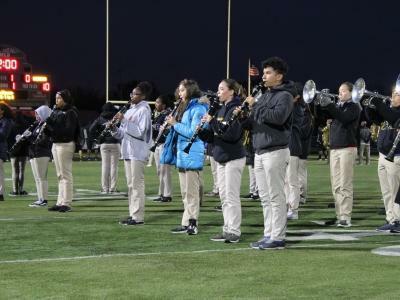 After Marian took a 22-20 command with 4:09 to play in the third quarter on Sean Mascolino's 49-yard bomb to Eddie Ell, Oak Lawn responded with a 56-yard march to take the lead for good with 1:11 to play in the third period. Marian had a chance to respond to Oak Lawn's last score. Another Mascolino to Ell connection gave Marian a first down, as did Tasheem Lawson's 16-yard scamper to the Oak Lawn 1-yard line. However, a fumble at the goal line on the next snap allowed Oak Lawn to maintain its advantage. Marian got solid efforts on the defensive line from Nathan Williams, Darius Mahome, Marco Stith, Justin Stallworth and Rhashid Wilson (fumble recovery) to produce three more fourth-quarter opportunities. However, a key sack halted Marian's next possession and two holding penalties hampered the following drive. The visitors got one more shot in the final minute, starting at their own 40-yard line. Marian threatened as Mascolino (14 of 31, 172 yards) hit Justen Pate with a pair of chain-movers. Marian moved to the Oak Lawn 32-yard line, but four straight incomplete passes ended the comeback effort. Similar to a blown lead in a 40-33 loss to Oak Lawn to open the 2017 season, Marian's offense couldn't muster the same second-half production as in the first half. Early on, the Marian offense was clicking. 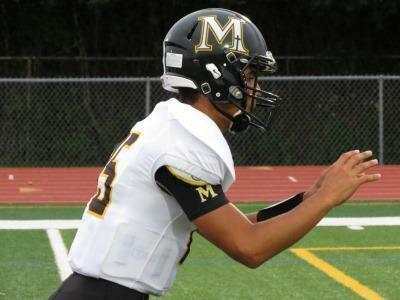 After forcing a quick Oak Lawn punt, Marian raised high hopes when Lawson got loose on a 34-yard rushing jaunt on the first snap of the season. The drive stalled, but Ray Cantelo gave Marian an early advantage with a 30-yard field goal. Oak Lawn answered, but Ell set up the visitors in great position after a 78-yard kickoff return to the Oak Lawn 17-yard line. Not stifled by penalties this time, Marian cashed in with a 22-yard touchdown run from Lawson to take a 9-6 lead. Again, Oak Lawn answered to retake the lead. However, both teams had heroics to close out the half. After the Marian defense proved stingy, Lawson reeled in a punt and broke a handful of tackles to go 87 yards for a touchdown and 16-12 Marian advantage with 1:11 to play in the half. 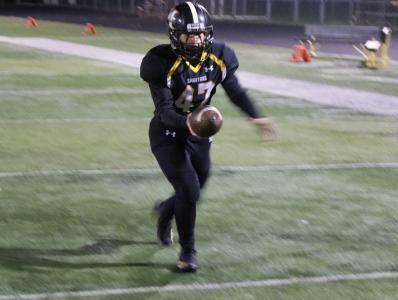 However, Oak Lawn minimized the Marian clock advantage with a 47-yard kickoff return. Four plays later, Kevin Swatek pulled in one of three touchdown catches on the night to give the host team a 20-16 edge at the intermission. All three of Marian's turnovers came in the second half. The miscues proved costly, as Marian actually outgained Oak Lawn in yardage, 281 to 242. Lawson led the way on the ground for Marian with 103 yards on just eight carries. Ell finished with six catches for 89 yards, and Carlos Jones- who had a touchdown called back via penalty- chipped in 26 rushing yards and 44 receiving yards. The Spartans will try to snap an 18-game losing streak when they host North Lawndale in their home opener next Friday at 6 p.m. Junior Varsity: The Spartans got off to a great start with a 41-6 romp over Oak Lawn. MC- Ray Cantelo 30-yard field goal, 9:39 first. ﻿OL- ﻿Kevin Swatek 6-yard pass from Chris Gallagher (kick blocked), 5:31 first. ﻿MC- ﻿Tasheem Lawson 22-yard run (run failed), 4:04 first. ﻿OL- ﻿Gallagher 2-yard run (pass failed), 11:54 second. ﻿MC- ﻿Lawson 87-yard punt return (Cantelo kick), 1:11 second. ﻿OL- ﻿Swatek 7-yard pass from Gallagher (Nick Puente run), 0:14 second. MC- Eddie Ell 49-yard pass from Sean Mascolino (kick failed), 4:09 third. OL- Swatek 8-yard pass from Gallagher (Puente run), 1:11 third. Rushing: MC- Lawson 8-103 (TD), Carlos Jones 6-26, Kameron Floyd 4-12, Justen Pate 1-0, Ell 1-(minus 6), Mascolino 7-(minus 26); OL- Puente 14-89, Gallagher 22-37 (TD), Khalil Abdullah 8-16. Passing: MC- Mascolino 14 of 31, 172 yards, 1 TD, 1 INT; OL- Gallagher 11 of 20, 100 yards, 3 TD, 0 INT. Receiving: MC- Ell 6-89 (TD), Jones 4-44, Pate 3-33, Lawson 1-6; OL- Swatek 6-70 (3 TD), Antonio Garza 2-15, Alec Gonsch 2-11, Puente 1-4.